The unique modern minimalist style, designed in C style, with the addition of four removable wheels, gives this furniture flexibility, with two wheels with a locked function, giving the flexibility of the table to your grasp. 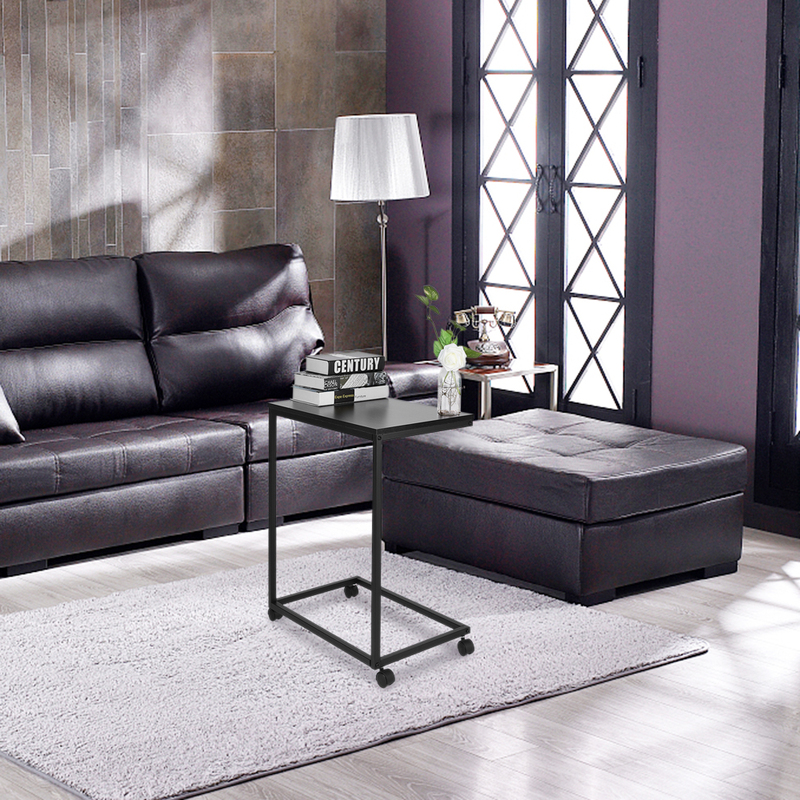 We can use it as a sofa side table, the oversized desktop area can be placed up to 17 inch notebook with mouse pad. 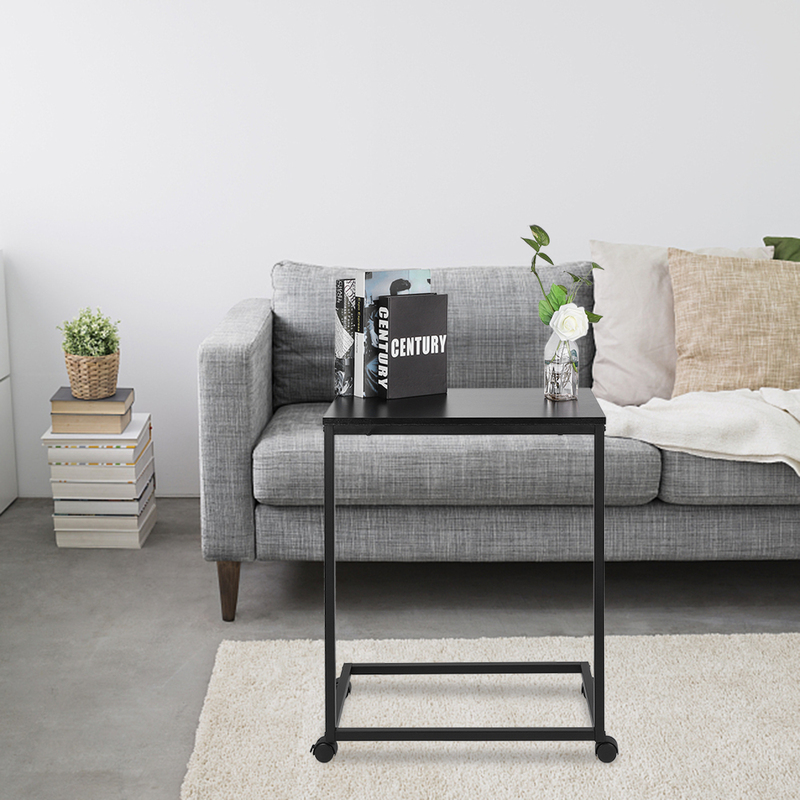 You can also place your drinks and books as a coffee table, which, because of its mobility, can also be used as a lazy tool to allow you to sit and entertain on the sofa without restriction. 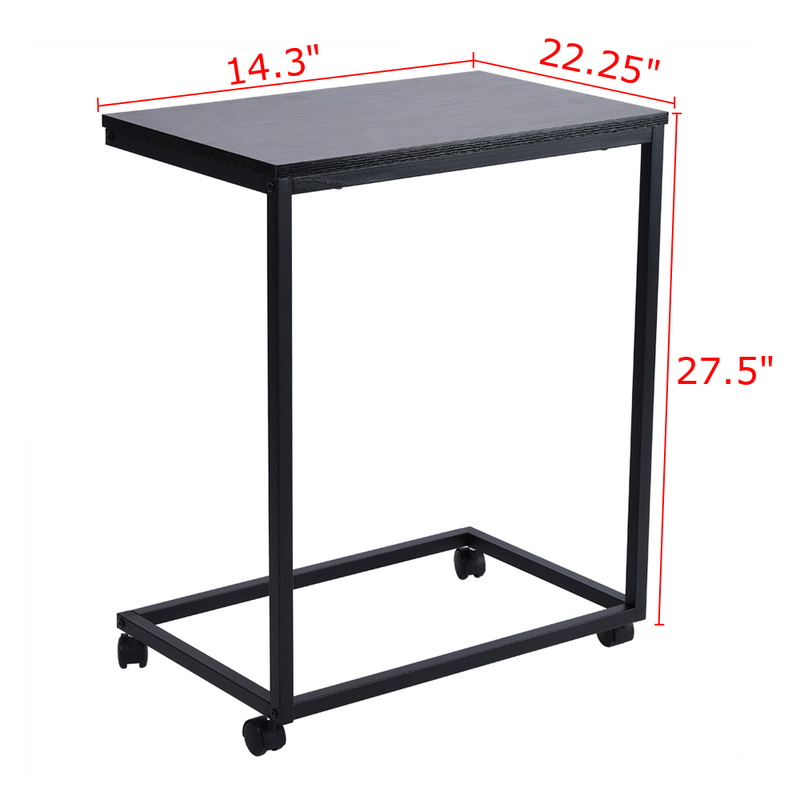 Simple assembly method, so that you fully feel the fun of assembly, I believe that this table is definitely a value for money choice. This product is free shipping in some areas of USA,because our warehouses are in America,as for where is of free delivery,please email to Bob@GreatBooker.com before your order.We do not ship the product for free outside USA,or remote areas like PR,HI,VI,AE,AP,AK,GU,AS,MP.